This song is so freaking amazing. This is tied with Livin' on the Edge for my favorite song by them. Aerosmith and Ceap Trick were my first concert. It was amazing. They really put on a show. This song is amazing. If the opportunity arises, listen to it while walking thru an actual castle in Europe. They captured the desperation of the medieval times flawlessly. AMAZING song! There are only a few bands that know how to write an amazing song. This band is one of em. Aerosmith is without a doubt one of the best bands to ever live. 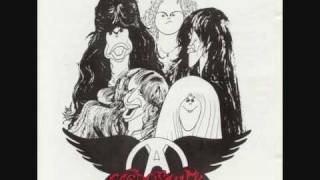 LONG LIVE AEROSMITH! one of my favorite. i dont have it on my mp3 player :( but i listen 2 it on youtube. i love that place!! !